Check out the top foodie stop in each state, including a readers' choice that nobody saw coming. Road-trip eating is a gamble, even in the age of Yelp. Wander off the interstate for a local meal, and it may be forgettable (or the wrong kind of memorable). When it’s right, though, that smoky brisket or authentic street taco packs a flavor you can’t find in Minneapolis or Chicago. It’s the taste of surprise. We expect great food in big cities. But stumbling into a rich culinary scene in a town where a decade ago you’d find mostly sports bars? Now that’s good eating. And we crave it. So we invited food writers across the Midwest to help name the most delicious small city (metro population below 750,000) in each state. Then we gave that list to you for a vote—and remember how we love surprises? Underdogs with something to prove rallied past state capitals like Des Moines and Madison. We watched agog as Champaign-Urbana battled Toledo for the lead. Read on to see who won. 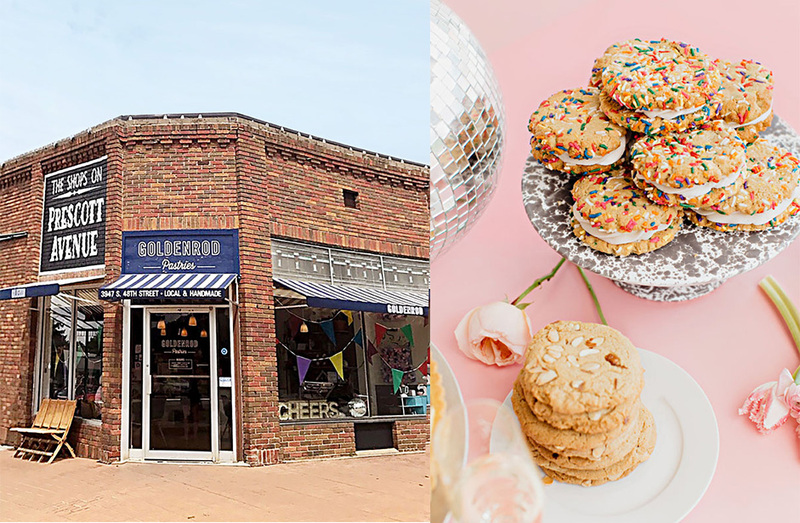 And consider this your trail of bread crumbs, because we’d ruin the fun (and flavor) if we told every tasty secret in these towns. It’s 4:30 p.m., and the doors opened 30 minutes ago at this wine bar and restaurant in downtown Champaign. The meat came from V. Picasso’s sister property, Willow Creek Farm in Urbana. There, cattle and sheep graze beside chickens, veggie gardens and a greenhouse that supply about 75 percent of the food Leaf serves—just 8 miles away. The loop doesn’t get much tighter than that. It wasn’t always that way. Ann Swanson describes the twin cities of Champaign-Urbana (130,000 residents) as late-bloomers to the locavore movement. “It was culture shock,” she says of her move in 2010 after working with farm-to-table pioneers in Charleston, South Carolina. So she innovated, spearheading a University of Illinois effort to dedicate land (plus a dorm roof) for gardens that supply campus kitchens and food trucks with thousands of pounds of food. For more adventurous palates, she launched an annual Forest to Mansion dinner at historic Allerton Park, where an all-star lineup of local chefs turns foraged edibles into a feast. It sells out each year. Champaign-Urbana sits at the intersection of interstates 57 and 74, in the center of a Chicago-Indianapolis-St. Louis triangle. Many of us have driven through, stopping for gas or coffee. What Ann, Leaf and a city of eager voters want you to know is that sailing by means missing out. On funky food trucks. On greasy spoon diners with herb gardens and rooftop bee hives. And on whatever Leaf decides to do with that ribeye. 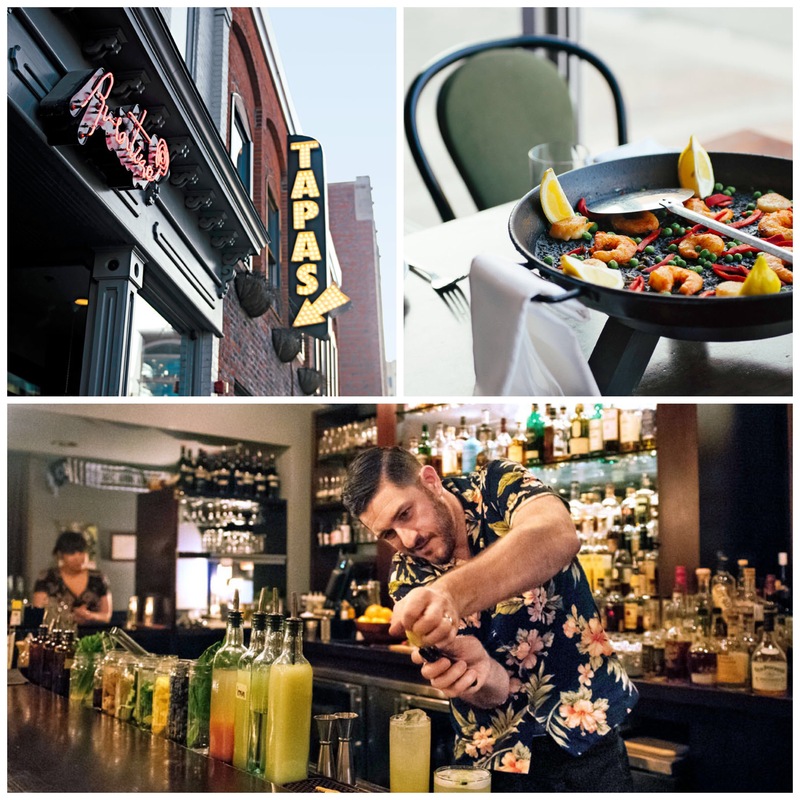 Champaign Sip beer under twinkle lights on Blind Pig’s patio, or dig into a goat cheese-sweet potato torta at Radio Maria. Golden Harbor offers 3,000 Chinese entrees—with a whole menu section dedicated to sea cucumber. Campustown The university straddles the invisible line between cities. A main drag offers ethnic and vegetarian eats—and great breakfasts. Food trucks Pandamonium Doughnuts and Cracked are opening storefronts. Urbana A Saturday farmers market features only Illinois producers. 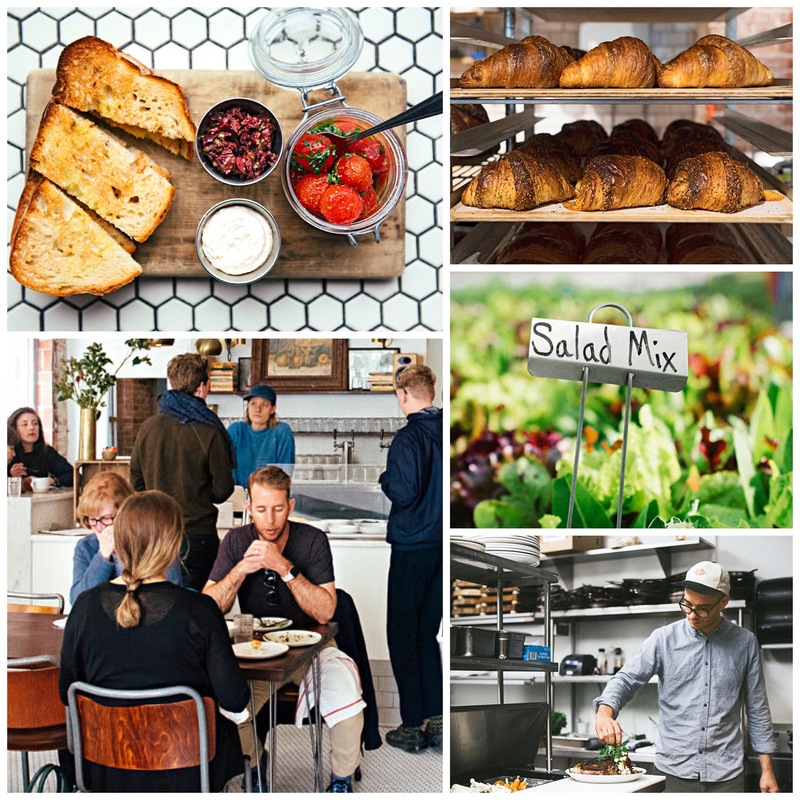 Nearby, an on-site garden feeds Courier Cafe’s salad bar. Even with a Champaign outpost, burnt ends sell out daily at Black Dog Smoke and Ale House. 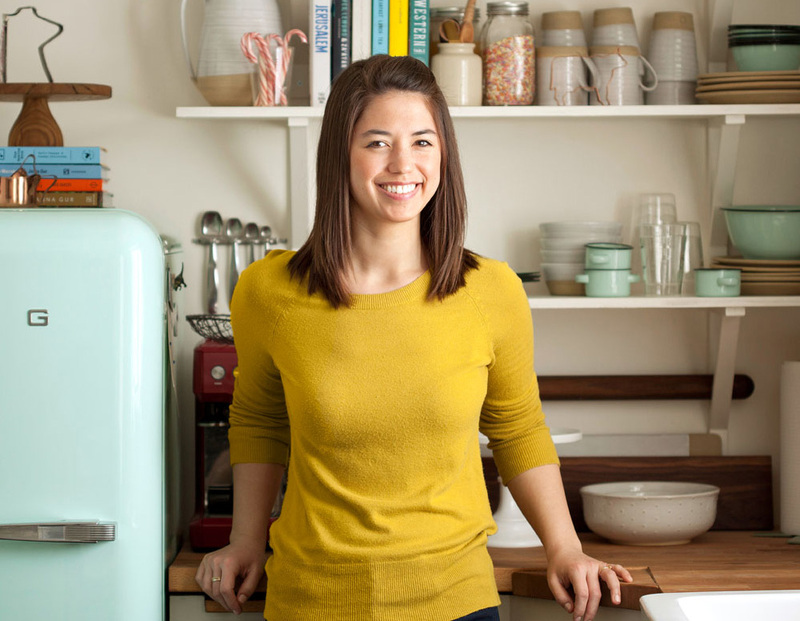 When cookbook author and blogger Molly Yeh moved from Brooklyn, New York, to her husband’s family farm outside Grand Forks in 2013, she wasn’t sure she’d see bagels and lox again. But then she drove south to the best food town on the plains. TGI-Fargo. "The move was really difficult in my life because, pizza! I love pizza. I have grown to love Rhombus Guys (in Fargo and Grand Forks). They’re inspired by the Midwest with things like tater tot pizza. They know who they are and embrace it. "I can’t go to Fargo without stopping at BernBaum’s, with its Scandinavian-Jewish cuisine. It’s the closest real bagel to my home, plus great brisket, great hummus, really great rugelach and monthly pop-up dinners. Oh, and it’s in a midcentury modern furniture store. 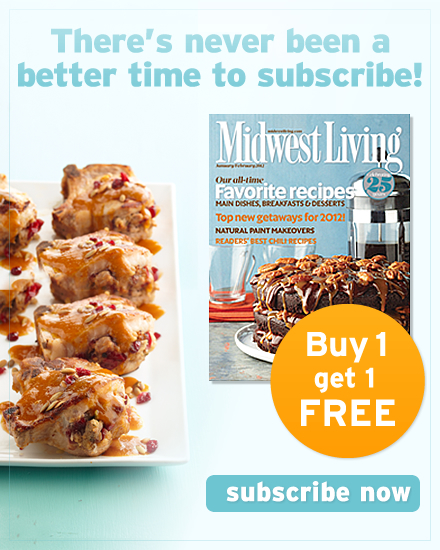 "The region inspired many of my cookbook’s recipes, like hotdish and cookie salad. My Fried Cheesy Pickles are inspired by The Toasted Frog, now open in Fargo (after Grand Forks and Bismarck)—oh gosh, my favorite late-night food." On a westward quest to see Mount Rushmore, Sioux Falls is your last real city. So savor it. Head for Phillips Avenue downtown. Classic burgers-and-shakes shops coexist with more forward-looking places. Hit Coffea Roasterie’s espresso bar or grab a Cascade Smash pale ale at WoodGrain Brewing Company. Parker’s Bistro nearby offers New-American cuisine, and M.B. Haskett serves crepes and prix fixe dinners. But for a through-the-looking-glass experience in Sioux Falls, slip into CH Patisserie. Pastry chef Chris Hanmer moved from Las Vegas to Sioux Falls (near his wife’s family) to launch the shop after winning Top Chef Just Desserts. His utterly elegant store feels like a slice of Paris, with French tunes in the air and a jewel-box display of gorgeous pastries. “We knew that Sioux Falls was ready for something of this quality level and experience. It’s been amazing,” Chris says. He’s opening an ice cream shop in 2018. Until then, order an eclair for the road. (Clockwise from top right) Build your own charcuterie spread at M.B. Haskett; downtown Sioux Falls; CH Patisserie specializes in mini cakes and macarons. Fur trading and fishing started this Lake Superior port town. Now it’s base camp for scenic North Shore excursions. 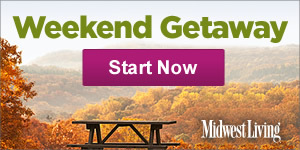 Bring a big cooler and an empty stomach, whether going to or coming from the wild. Duluth Grill Plan your trip around breakfast here. Even the blueberry syrup and cranberry-habanero ketchup are made in-house. Northern Waters Smokehaus An edible Duluth souvenir of smoked sausage or fish is a nonnegotiable—and so is the Sitka Sushi sandwich, with salmon, pickled ginger and wasabi mayo. Vikre Distillery Packing light? Small bottles of cedar and spruce gin are so tasty, you can forgo tonic. Canal Park Brewing Sip a flight on the lake, then fill a growler to go. The patio is dog-friendly, so your pup doesn’t have to wait in the car. 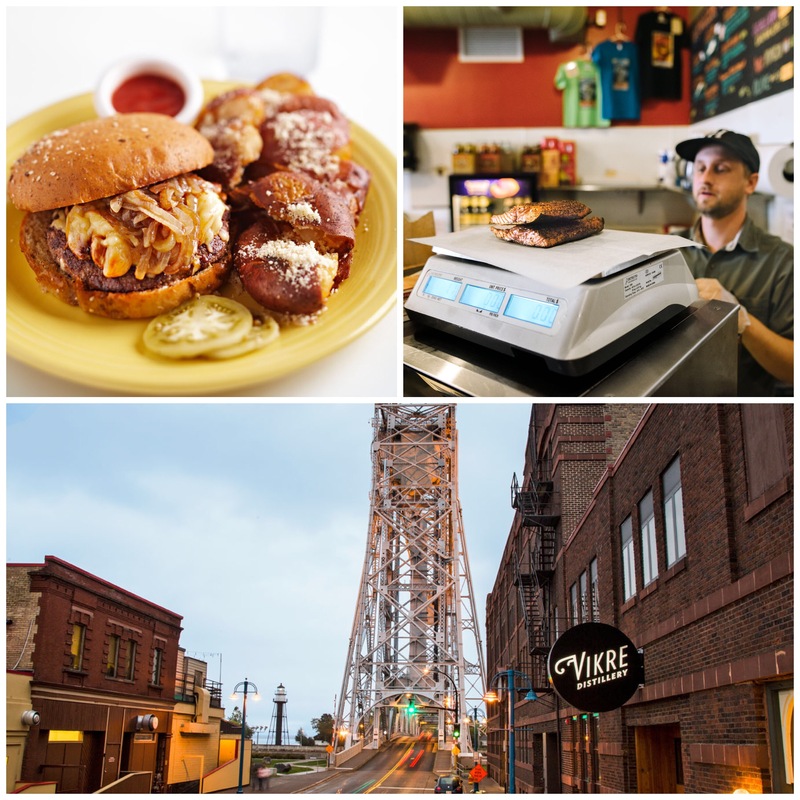 (Clockwise from top right) Northern Waters Smokehaus; Vikre Distillery makes gin, aquavit, whiskey and vodka downtown; Duluth Grill. You can taste the inspiring stories of immigrants in every corner of Toledo. Throw a dart at the globe, and wherever it lands, you’ll find a culinary match here. The Beirut Among tapestries and brass statues west of downtown, this Lebanese favorite has thrived for more than 40 years. Try kafta, kibbi, meat pie and grape leaves on the Kabob and Such platter. 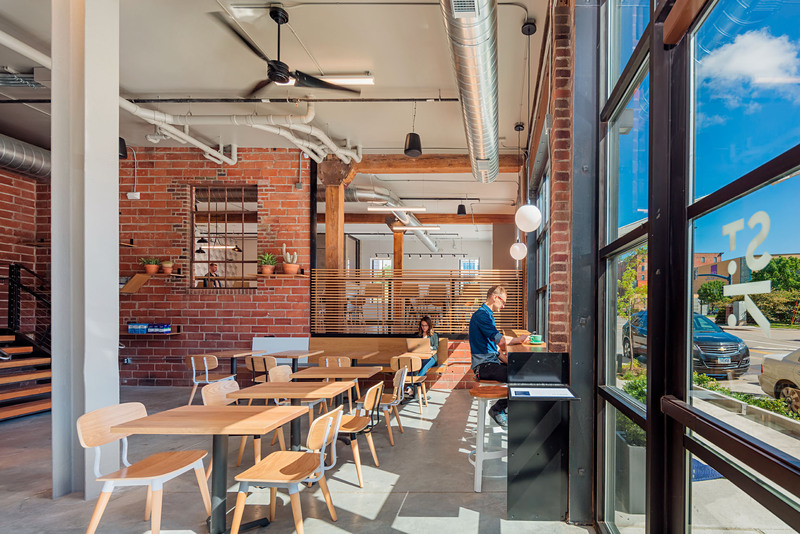 Close tables encourage mingling among diners. Tony Packo’s The Hungarian kitchen turns out stuffed cabbage, chicken paprikas, dumplings and other old-world stalwarts. But the hot dog (made famous on M.A.S.H.) draws the fanfare. The institution now has three locations and an online store. Kengo Sushi and Yakitor Chef Kengo Kato moved from New York and opened this 23-seat downtown concept with a friend in 2015. Expect to wait with a drink—or reserve the five-seat omakase table for a 12-course chef’s tasting menu. International Festivals Ethnic festivals fill the calendar. Find live camels, games and Middle Eastern food at the area Islamic Center’s International Festival (September 9–10, 2017). The Greek-American festival takes place the same weekend. Creativity abounds in the home of Indiana University: art, music and oh-so-much colorful flavor. International options span 75 restaurants representing 18 countries. Some of the most charming are on Fourth Street, where repurposed Victorians and bungalows now house restaurants (Anatolia is great for authentic Turkish.) 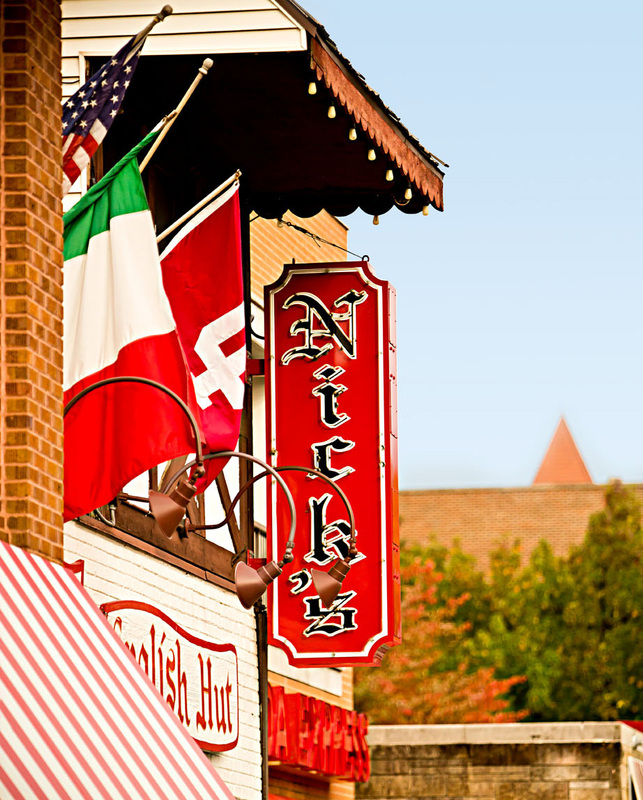 Nick’s English Hut is neither British nor a hut, but a 90-year Bloomington staple (especially on game day) for beer in mason jars and meaty stromboli. Take a date to Uptown Cafe for a splurge on cocktails and comfort foods—most infused with a Cajun-Creole kick by chef Michael Cassady. One of Lincoln's coolest drinks is underground. Literally. Blue Blood Brewing built a taproom on Robber's Cave, where the city's brew culture began in 1869. But wait. You can also order a pint at Empyrean, which launched in 1990, when only 300 U.S. breweries existed. 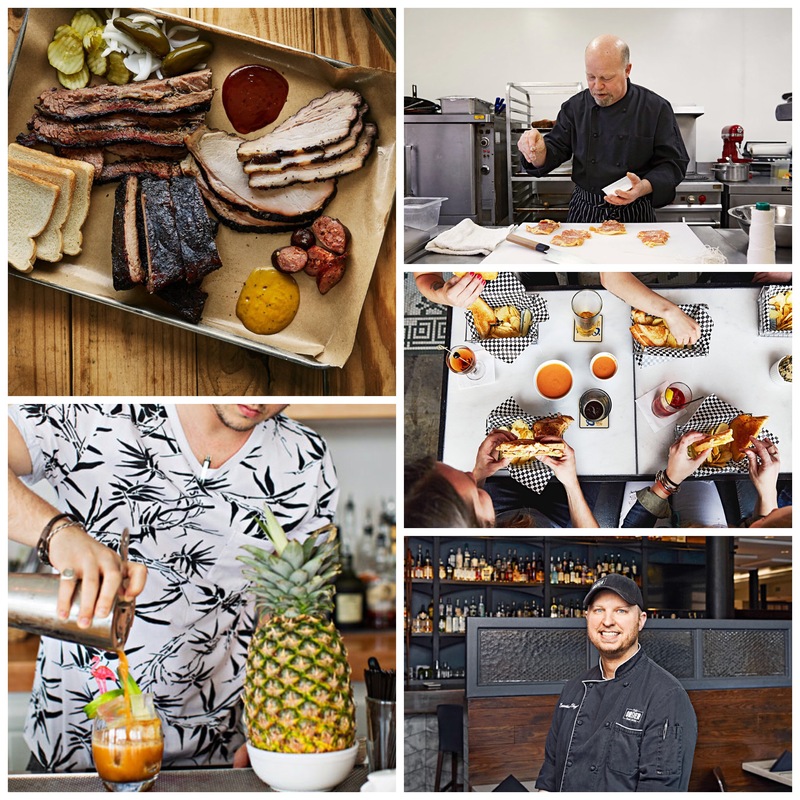 Or sample the first beer made from all Nebraska ingredients at Boiler Brewing—then cross the street for bourbon and barbecue at Single Barrel. More great eats: Indian at The Oven is a Haymarket District tradition. Goldenrod Pastries sells sweet mini pound cakes. And Hub Cafe serves food so farm-fresh that farmer Doug Dittman may bring it to your table. The most established food scene on our list still surprises. Just ask Tory Miller. 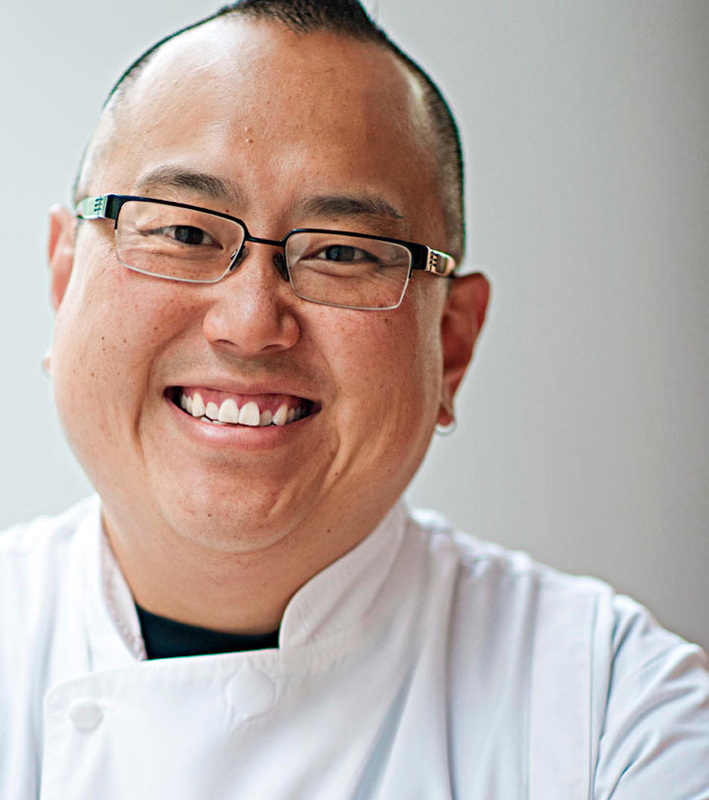 The James Beard Award-winning chef is a local icon with restaurants like L’Etoile. But he’s also a champion eater, giving #BetterThanMine Instagram shout-outs to his competition. Here’s how he would eat through a weekend, if he ever had one off. Dinner Dan Bonanno’s foie gras doughnut with lardo at A Pig in a Fur Coat is so good, you wanna lick his face. Breakfast Stroll the Dane County Farmers Market, starting at my place Graze for Magic Coffee. Then find Stella’s soft pretzels. Lunch A buffet of the 60-some food carts all over town. Must-try: Caracas Empanadas and tacos at El Grito (I get six, but they’re small). Dinner At Heritage Tavern, chef Dan Fox is so true to himself that he breeds his own hogs for the pork dishes. Breakfast Hit Gotham Bagels or Short Stack. Or wander—just be outside. That’s the Madison food experience. Food gets right-of-way on the streets in Iowa’s capital city. Nearly 300 vendors shut down nine blocks every Saturday (May–October) for a farmers market. Cooks line a bridge across the Des Moines River during the World Food and Music Festival (September 15–17, 2017), luring crowds for Ethiopian, Mexican and Vietnamese fare. Food trucks gained street access two years ago, drawing weekday foot traffic from the downtown skywalks. And the lively East Village area, which was just emerging 10 years ago, has fresh competition from new It places opening regularly. 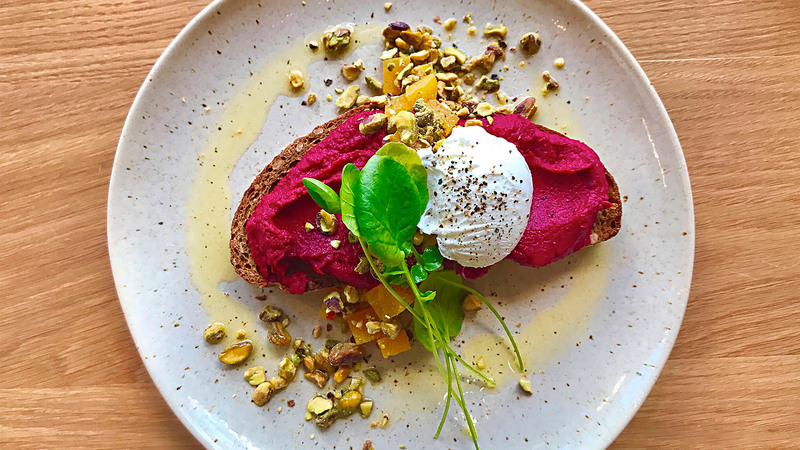 The latest: St. Kilda, an Australian-style bakery-cafe where beet hummus toast is a totally craveable breakfast. Amid urban revival, chefs in this Ozarks city have reinvented comfort foods to draw meat-and-potato eaters outside their comfort zone. Check out the work of these five standouts before you head out to explore the nearby lake country. Druff’s Primo ingredients like prosciutto and pear fill grilled cheese sammies—but the quinoa side salad threatens to steal the show. Harvest Craig von Foerster’s restaurant-in-an-orchard is a country escape. Heirloom produce from his farm guides the rotating menu. Golden Girl Rum Club You had us at shark mugs. This tiki-infused rum bar uses refined ingredients like hibiscus and mezcal in its potent cocktails. The Order Deep-fried cashew chicken is a kitschy Springfield icon. Try Zach White’s take: dipped (not doused) in oyster-cashew sauce and skewered. 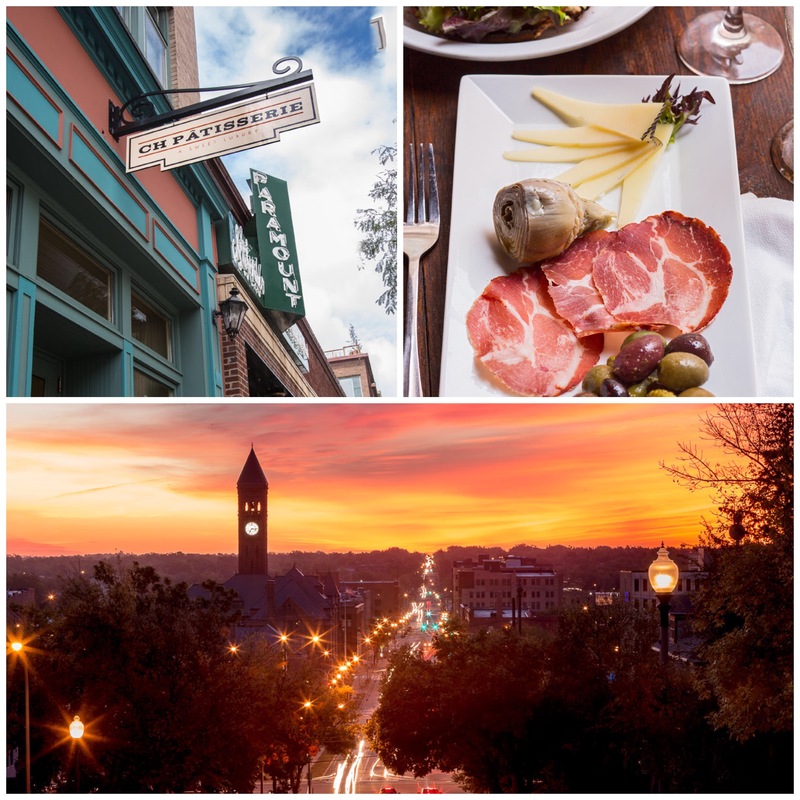 Sampling some of the best food and drink in the University of Kansas’ hometown is easy: Head to Massachusetts Street (Mass, to the locals). You won’t get lost, and you won’t go hungry—unless you talk up Kansas State. 715 Charcuterie is extra fresh at this fine-dining staple, thanks to local hogs. The Burger Stand at The Casbah Simon and Codi Bates class up burgers like the Fire, with habanero-cactus jam and avocado. Harold’s Chicken, Whiskey and Donuts The golden fried chicken outshines the doughnut on the side, but the novelty is hard to beat (and the whiskey selection superb). Free State Brewing Open since 1989, Free State was cranking out craft beers long before current KU students were born. Merchants Pub and Plate Ingredients come from several Midwest states on a menu featuring cauliflower griddle cakes with smoked, whipped feta. Bon Bon! Simon and Codi, of aforementioned Burger Stand fame, dish inventive salads (and French onion tater tots). 1900 Barker Brothers Taylor and Reagan Petrehn bake Insta-worthy croissants. When Zingerman’s Deli opened in Ann Arbor 35 years ago, Paul Saginaw and Ari Weinzweig gave residents more than excellent corned beef sandwiches. At the time, you couldn’t even find extra-virgin olive oil. 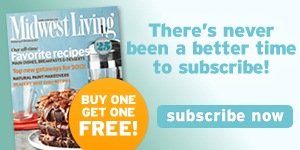 “We’ve clearly changed the way people eat in town. But it’s not like we’re the only ones that did it,” Ari says of a company that now includes a mail-order business, a creamery and Zingerman’s Roadhouse restaurant. 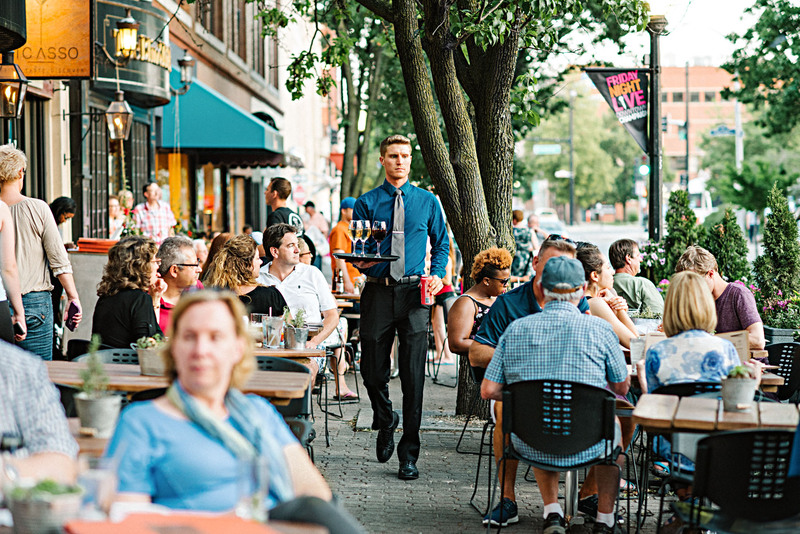 Today, Ann Arbor claims a vibrant restaurant scene that rivals cities with five times its population of 114,000. Top Chef contestant Eve Aronoff draws crowds at Cuban-inspired Frita Batidos. Aventura serves craft gin and tonics plus Spanish tapas. And former Zingerman’s employees have left the nest to hatch their own restaurants. Becky Winkler-Dhakal left marketing to start popular Indian spot Cardamom. Cheesemonger Steve Hall opened Spencer with Abby Olitzky, earning national props for its wine list, charcuterie and seasonal dishes. Their partnership began with a Zingerman’s Onion Rye loaf, used by Steve to woo his real-life partner. (Clockwise from top right) Aventura’s black paella includes squid ink; candlelight and expert mixologists hide behind an unmarked red door at Last Word speakeasy.